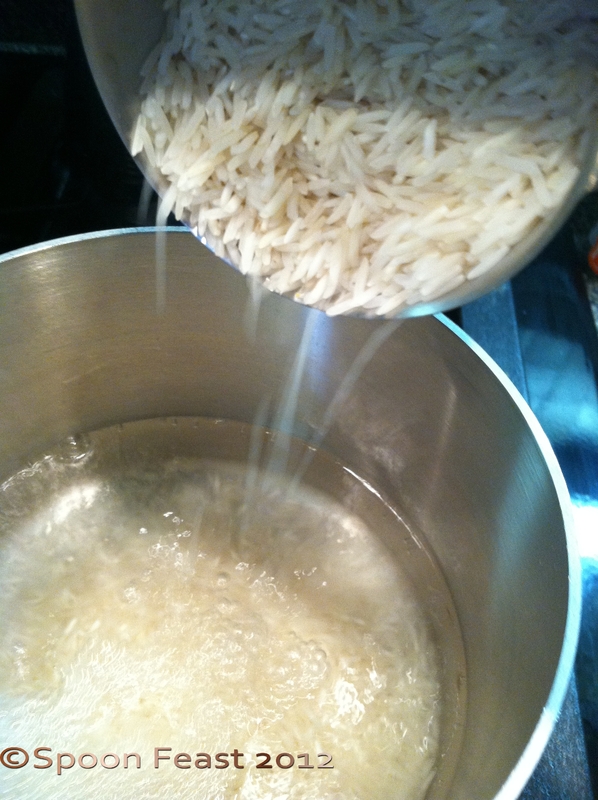 There are many kinds of rice to choose and methods of how to cook; this post is about how to boil rice. This is the most simple and least complicated method. You just need to pay attention while it is cooking. Let’s talk about the forms of rice that are out there. I am not going to go into all the varieties, this is just to tell you how to boil basic rice. You don’t always have to cook rice. You already know about the pre-cooked rice packets you can buy either shelf stable or frozen in vacuum sealed packets. These area great to have on hand when you don’t feel like cooking. Trader Joe’s frozen Brown Rice is so nice and easy! Nuke and eat. But you pay a price for that convenience. These products are ‘expensive’ in the relative terms of how much rice actually cost. Rice on its own is cheap. It is a meal staple in many parts of the world for good reason. I love the taste of rice, white, basmati, brown, mahogany, black or red. I love the texture, the way it carries sauces and serves as a flavor base for lots of dishes. You were brought up on Basmati Rice. White and brown. When you go to the store to buy rice, don’t cheap out and buy the cheapest rice out there. Choose Basmati or Texmati rice. 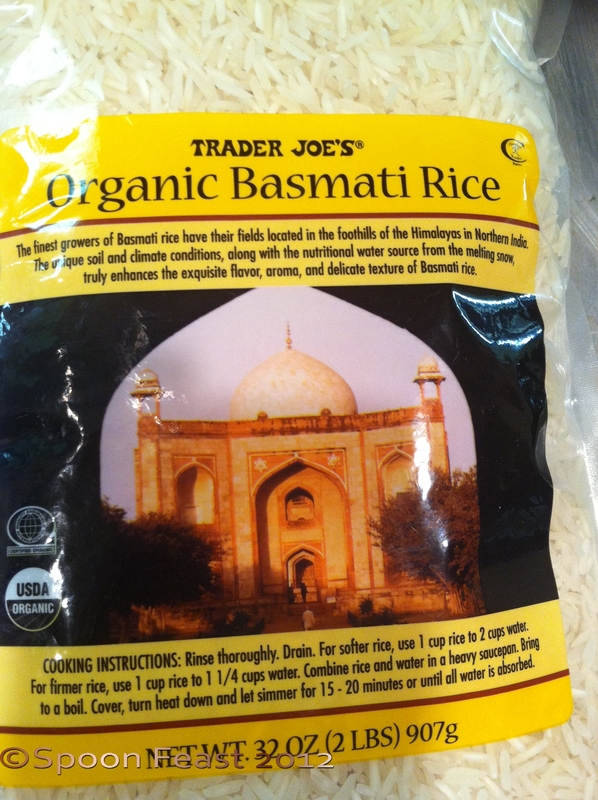 Basmati rice comes from India and Texmati is the same variety grown in Texas. Honestly, the cost difference isn’t much between cheap rice and a quality rice and the taste is much more pronounced. Tastes more like rice should. Rice has become so polished and processed that most of what passes for rice these days has very little flavor or nutrients. This kind of rice provides little nutritional value beyond carbs. Avoid instant rice at all costs. It has horrible flavor, it tastes processed. Avoid ‘converted or par boiled ‘ rice as well. We get enough nutrients from our diets to have to worry about the delivery of Thiamine. If we were starving, it would be another issue. Basmati and Texmati rice is flavorful and nutritious and goes great with lots of dishes. 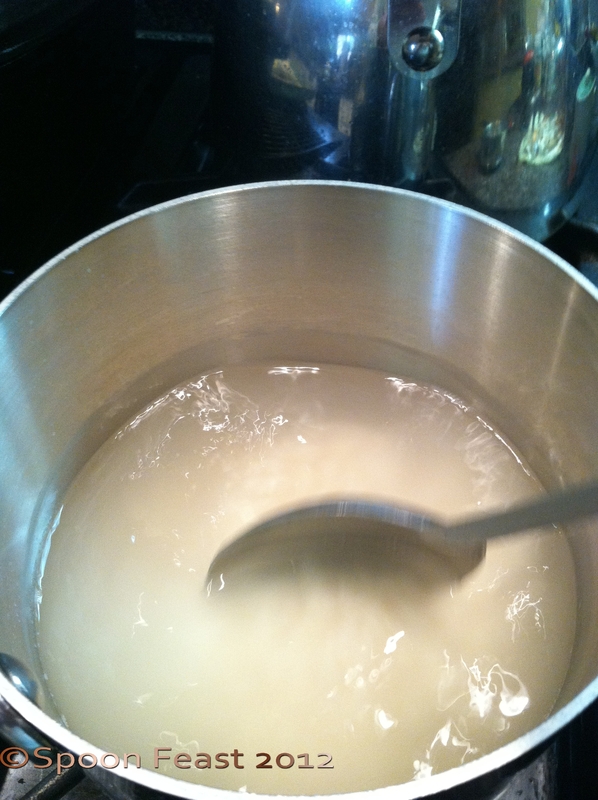 It is not sticky rice so it will have that fall-apart quality desired in fluffy rice. So if you use your shoe as a measure, measure two shoes of liquid and one shoe of rice. The point being what ever you measure with, use 2:1. If you use your shoe, sanitize it first. 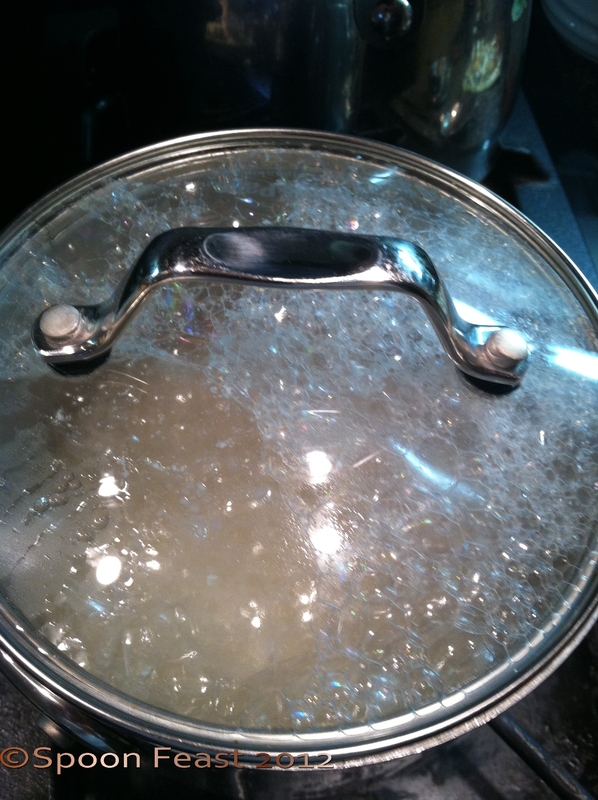 Measure the liquid (so you know how much rice you need), put into a pot with a tight-fitting lid. Bring water to a boil. It’s boiling when the bubbles break the surface. 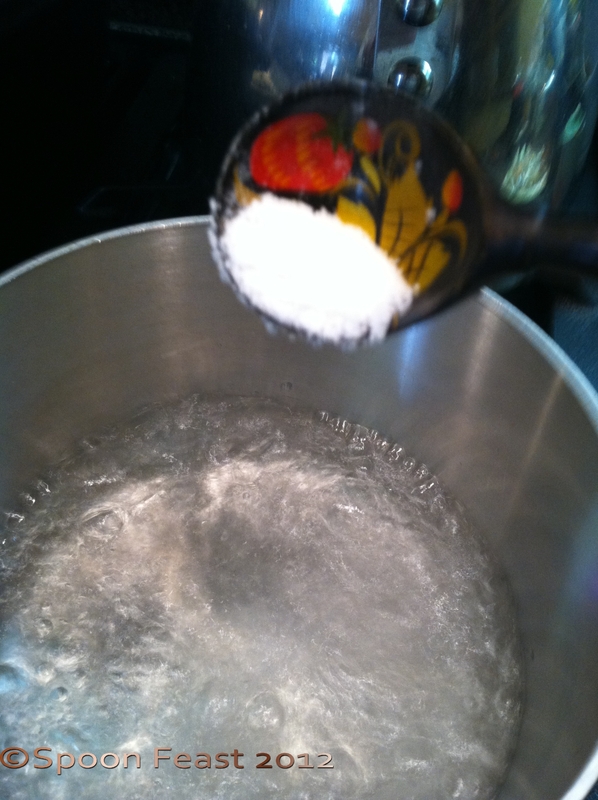 Stir the rice after adding it to the water to ensure nothing is sticking to the bottom of the pot. Put a lid on it and let it simmer. Put a lid on it. Simmer for 15-20 minutes. If you use a glass lid, you can see what is happening while it cooks. When it looks like this, it is probably done. Try not to life the lid until you are SURE the rice is done. Time 15-20 minutes before peeking. Take a large kitchen spoon and see if all liquid has been absorbed. If it has, the rice is done. Brown and darker rice will need to cook for at least 1 hour with monitoring of the liquid to doneness; adding more liquid if necessary. Do not lift the lid once it returns to a boil. Cover and reduce the heat. Let it go until the liquid is gone. If you do lift the lid to check, your rice will become gummy and yucky. It’s like the curse of gummy rice. Don’t lift the lid to peek unless absolutely necessary. Learn your stove and adjust cooking times. Start noticing how it is doing at 15 minutes cooking. This is where glass lids are really handy. You can peek without lifting the lid. Try not to life the lid until you are SURE the rice is done. 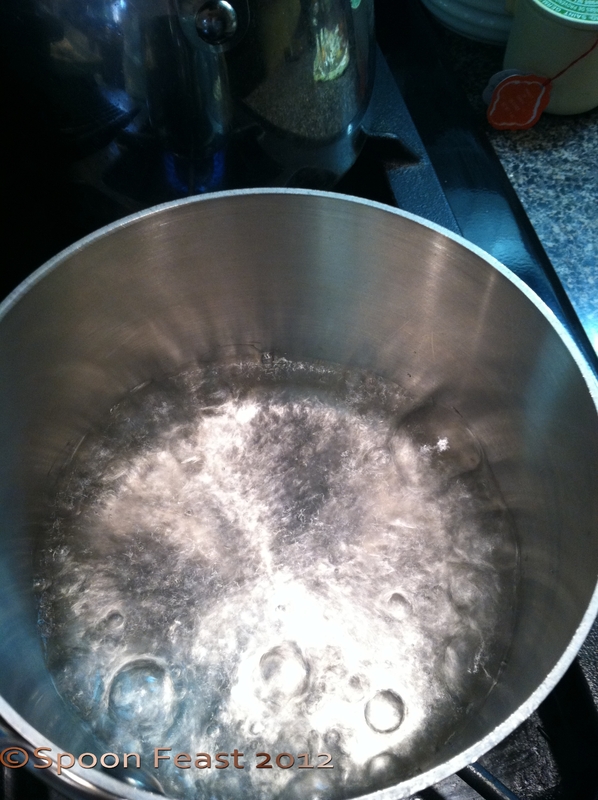 Tilt the pot to the side, use a spoon to check that the liquid has been absorbed. If it burns on the bottom, scoop from the surface. The surface rice may not taste burnt. If it does, oh well, it is cheap. Try again tomorrow. Remember kitchen rules! Make them habits for safety’s sake. Most of the time when I have burned things it is because I left the room and was distracted. Please trust kitchen rules. Once the rice is cooked, fluff it with a fork and serve. There are so many things to serve over rice. 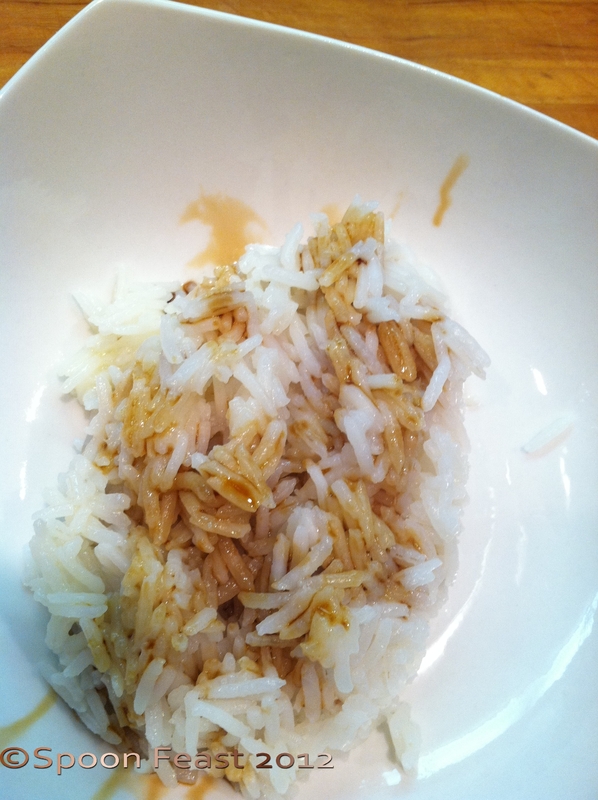 Sometimes when my tummy is upset, nothing makes it feel better more than a bowl of rice with a small bit of soy sauce. Enhance the rice by adding vegetables, meat, herbs and spices to the cooking liquid to flavor the rice. My favorite is to add dried onion or vegetable soup mix or fresh thyme, garlic and shallots. Don’t be afraid to season the water the rice is cooked in. The rice will take on whatever flavor is added. I like to finish the rice with a tablespoon of fresh butter. It really does something to the flavor that I adore. As soon as you are done cooking rice and have removed the contents of the pot to another dish, fill the rice pot with COLD water. Let it sit for 20 minutes or so. Add a squirt of detergent if you want. It makes clean-up easier. All the rice goop will release and rinse away and final clean-up is much easier. Steam some broccoli and serve it over some rice. Left over rice must be cooled and stored in the refrigerator. You can easily reheat rice in the microwave. Add a small spoon of water, cover and nuke for 30 seconds, stir and do it again. 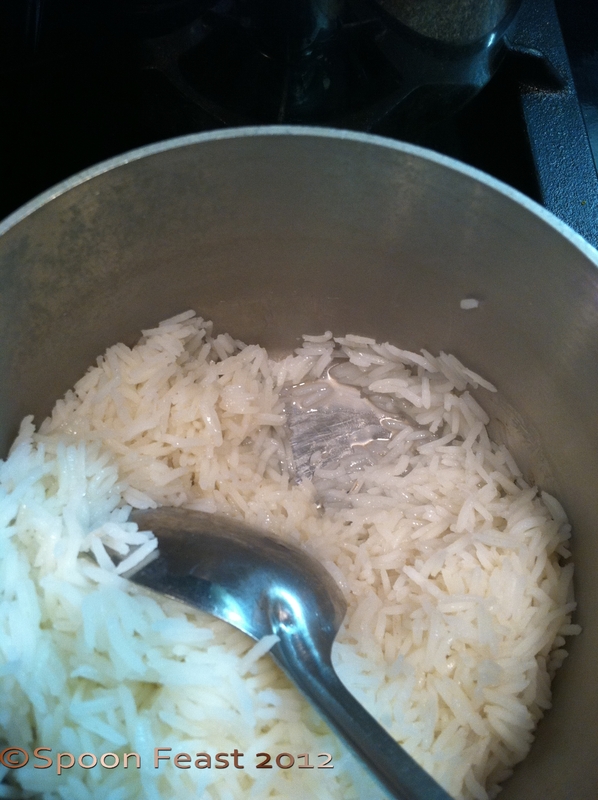 The rice should absorb the water, so don’t use too much, just a hint. ~Can you get Tonkatsu Sauce? Check your grocery where they sell soy sauce products. It is made by Kikkoman. This entry was posted in basic skills, Recipes, To Tyler: How to Cook:, What every good cook should know and tagged Basmati, basmati rice, brown mahogany, Brown rice, cook, dinner, food, Rice, rice basmati, texmati rice, vegetarian. Bookmark the permalink. We cook rice in the microwave, which works well, but it’s a little trial and error. 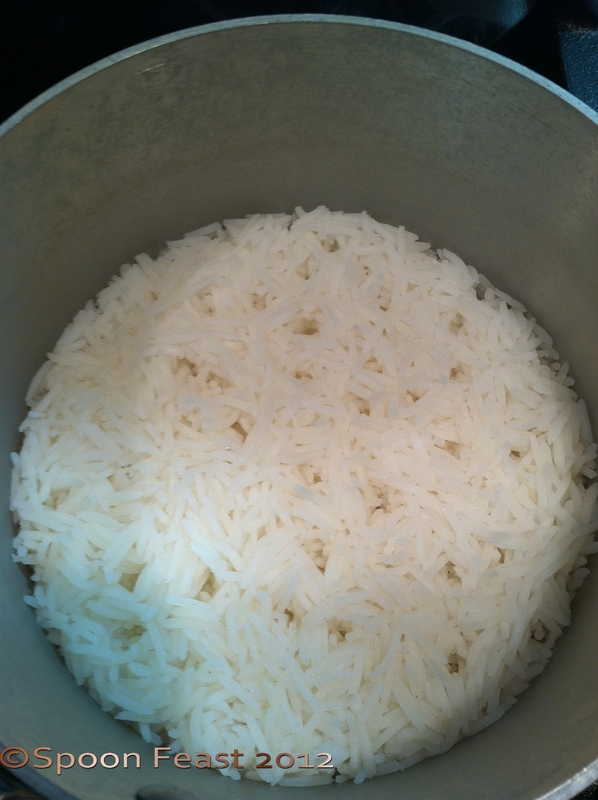 The Basmati seems to work best if we soak it for half an hour first. And when I was growing up in our Chinese household, we used the rice cooker every night! Rice cookers are great. I have burned out several over the years. I cook my rice (usually basmati) in the microwave. It works a treat and you don’t have to worry about having to watch it or worry about it catching and burning. I also rinse my rice. This really is such a great series you are doing for your son. Do you use the same water/rice ratio of 2:1 when cooking rice in the microwave? I haven’t cooked rice that way before. I know Tyler may use the microwave since that is all he had to cook with last year. Oops, I never measure – I just pour water over until the rice is well covered. I reckon the normal 2:1 ratio would be perfect. Sometimes I still have a little water left at the bottom (obviously poured in more than the 2:1 ratio) which runs off when I rinse the rice anyway. 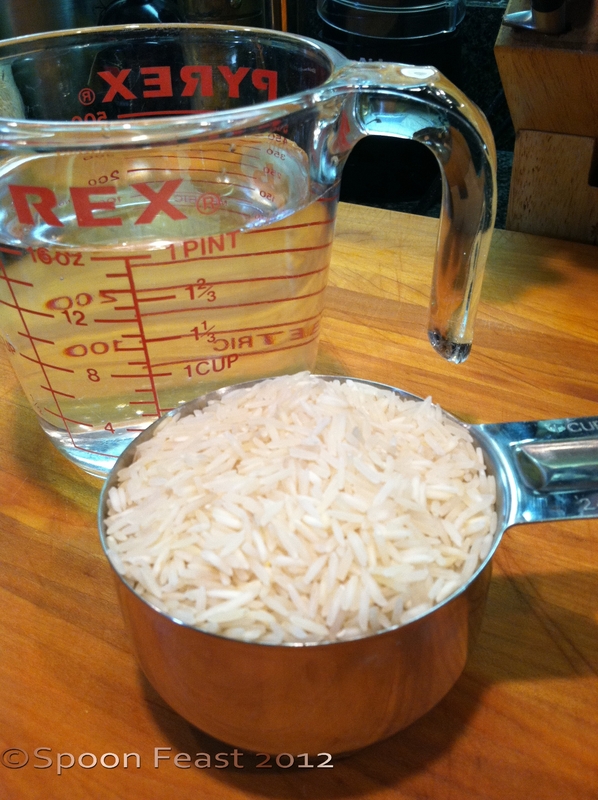 Great post … do you know the trick of measuring rice water by finger length? A room-mate of mine taught me this in college. You put the rice in your pot, pour in water just until the depth reaches the first joint of your index finger when you touch the tip to the surface of the rice… works no matter the size of the pot (or your finger). That’s how my mother always measured water for the rice cooker. I think it only works with rice that is cooked by the steaming method (and also not sure about Basmati – growing up we always ate Jasmine rice – Basmati seems to absorb more water?). Now that I recall, my room-mate was using a rice-cooker when I first was shown the trick but it seems to me that the measurement technique seems to work out to about a 2:1 ratio in any event… close enough at least! You boil the rice good.